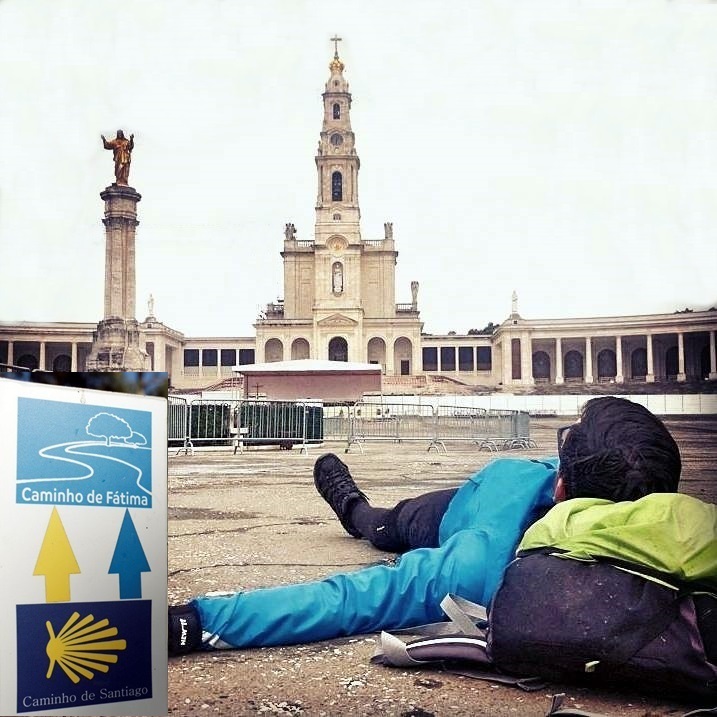 Since a large part of the Tagus Way from Lisbon to Fatima coincides with the Portuguese Camino route to Santiago de Compostela, this walk presents a rare opportunity to experience two famous pilgrimage routes at once. 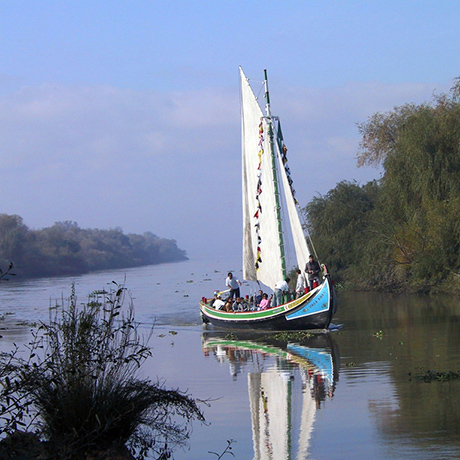 The Tagus never leaves your sight as you advance across its tranquil floodplains and continue through the peaks and valleys of the Aire and Candeeiros Mountains. 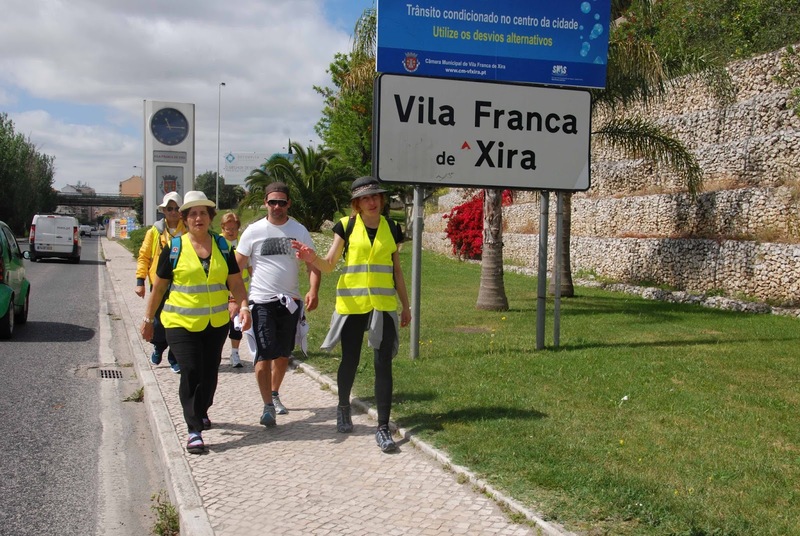 The Tagus Way starts in Lisbon’s Sé Cathedral and ends in the “Cova de Iria,” the place where Our Lady appeared to three shepherd children in Fatima in 1917 and where the famous Sanctuary of Our Lady of Fatima was later erected. 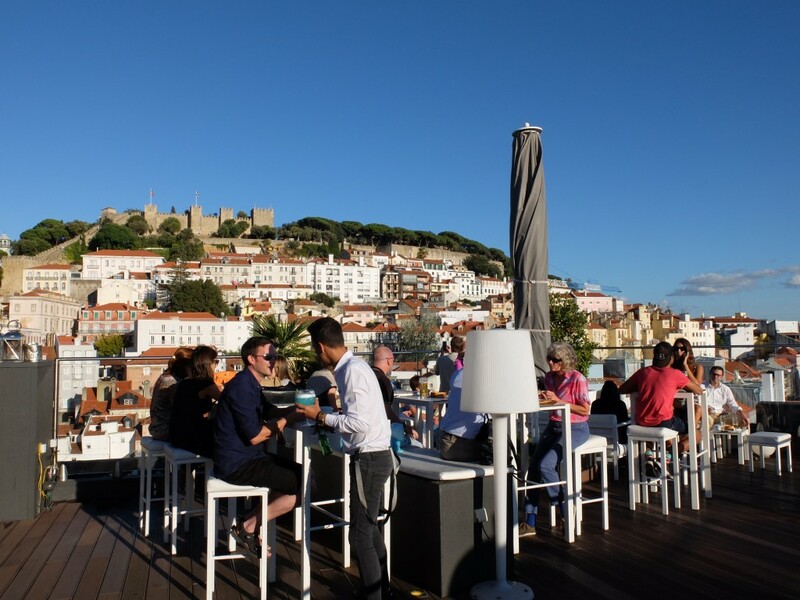 Portugal’s beautiful capital city appeals to various tastes and senses. Influenced by many diverse cultures over time, it is a fascinating mix of historic neighborhoods, each with a village feel to them. 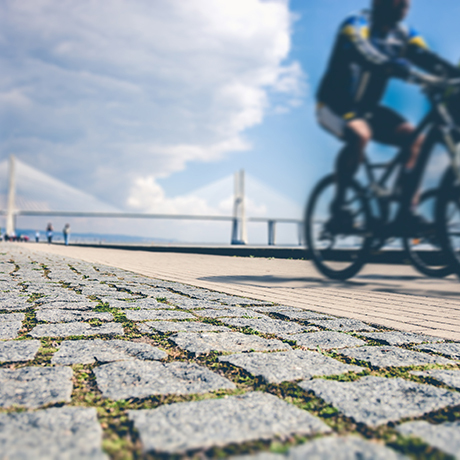 Stroll through the Pombaline grid of streets in the Baixa district or follow the river Tagus to discover some of the city’s most beautiful areas: the monumental district of Belém with its UNESCO World Heritage Sites, the city’s mazy medieval quarter or the trendy contemporary Parque das Nações. 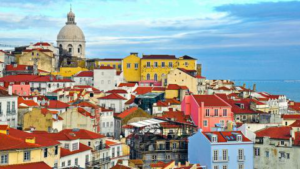 Begin your journey in Sé Cathedral in the old part of Lisbon, then it’s onwards to the old neighborhood of Alfama and the site of the 1998 Lisbon Expo. 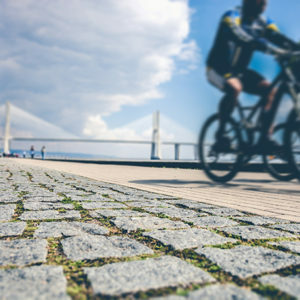 In no time, you will have swapped the urban environment for countryside, and from now on you will follow a path through the Tagus Estuary Natural Reserve. 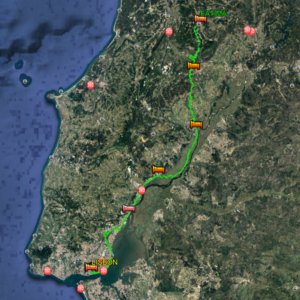 Discover the villages of Granja and Alpriate as you delve deeper into rural Portugal. 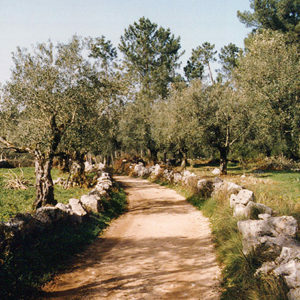 In Póvoa de Santa Iria, the Tagus meanders between wooden walkways and stretches of earthen paths. Today you cross tomato, rice and corn fields irrigated by the ever-present Tagus. Overhead, flocks of storks, herons and other birds fly and dive to nibble on rice as they plot their migratory course. The urban and historical landscape is a fascinating mix of farms, churches, villages and old towns like Vila Nova da Rainha. 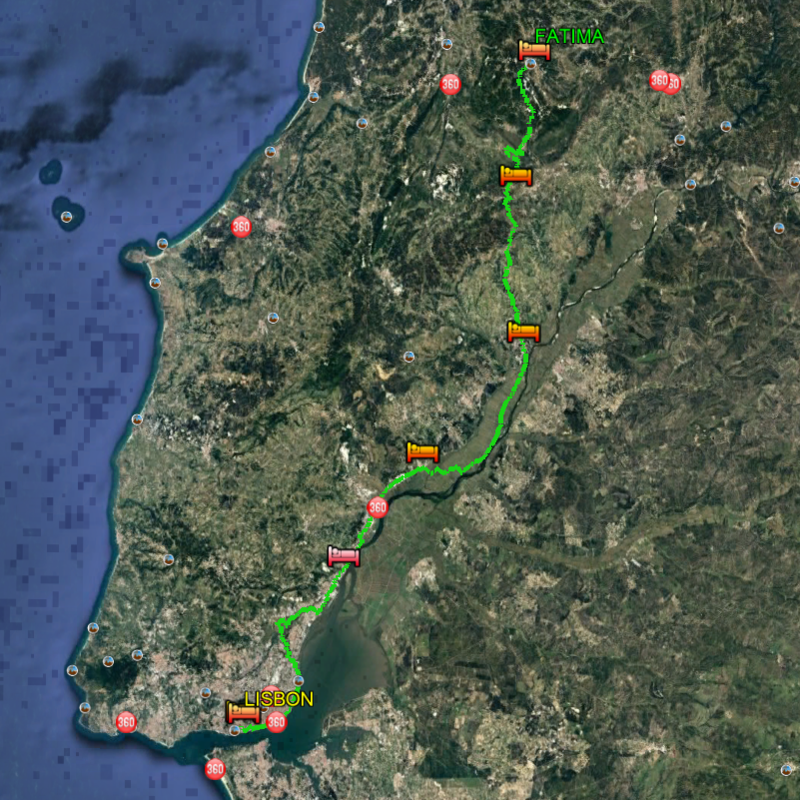 Today is the shortest stage of the Tagus Way. Dirt tracks and walkways take you through a familiar landscape before entering the Tagus Floodplain. Cereal fields and farms will be another constant companion as you head ever northwards . A day to recharge batteries ahead of the demands of the longer stages ahead. 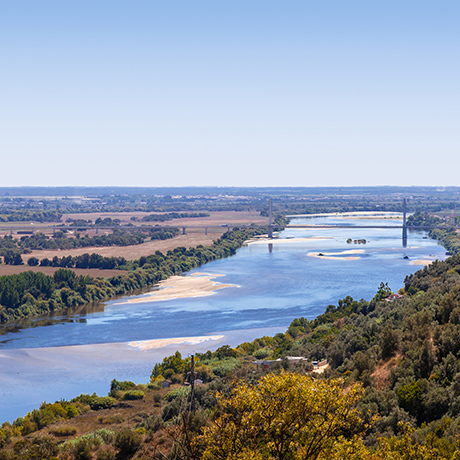 In this stage you cross the Tagus Floodplain, a flat and fertile territory dedicated to agricultural production. Beside the river and protected by a series of dykes made from earth and stone, lie small villages. Walking along these dykes offers a unique view of the Tagus and the surrounding floodplain. In the fields, dams and old 19th-century hydrometric stations stand out, ensuring the fertility of the flooded hinterlands. 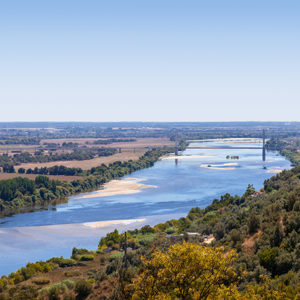 At the town of Santarém, the Tagus Way splits from the Camino de Santiago and heads towards Fatima. After leaving Santarém, the landscape begins to change, turning mountainous and dotted with villages almost completely unchanged since the 19th century when traditional agriculture dominated the region, as borne out by the many vineyards, apple and olive groves, orchards and cultivated fields. It is recommended to visit the Church of Nossa Senhora da Conceição in Azóia de Baixo, where the Romantic writer and historian Alexandre Herculano (1810-1877) was buried before his remains were relocated to the Jerónimos Monastery in Lisbon. Your destination is close; just a few slopes and plateaus left to get there. Traverse the Aires and Candeeiros Natural Park, an enormous limestone massif comprising two highland regions after which the park is named. While hiking through the park, you’ll come across stone walls used to divide properties and herd cattle, small huts used by shepherds as shelter in bad weather and an incredible cave network. 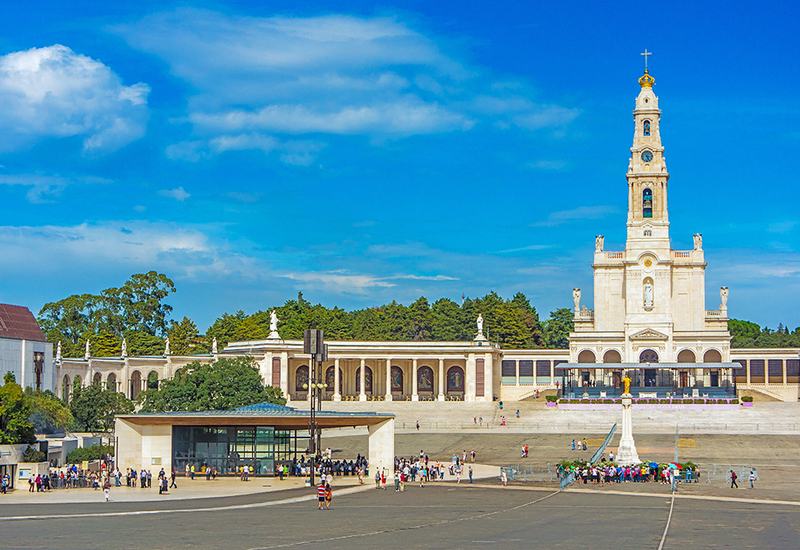 Walk on for a few kilometres until you reach Fatima and the Holy Santuary of Our Lady there, known as the Altar of the World. Time to relax and enjoy all the things this wonderful city has to offer. You may like to reflect on your journey in the magnificent Sé Cathedral. 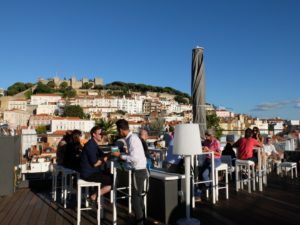 Exploring the narrow cobbled streets of the old town, a UNESCO World Heritage Site, sampling some local dishes, and kicking back in a terraza are other popular activities.